„Connector=link that enable communication between two or more instances. Each connector may be attached to two or more connectable elements, each representing a set of instances“. 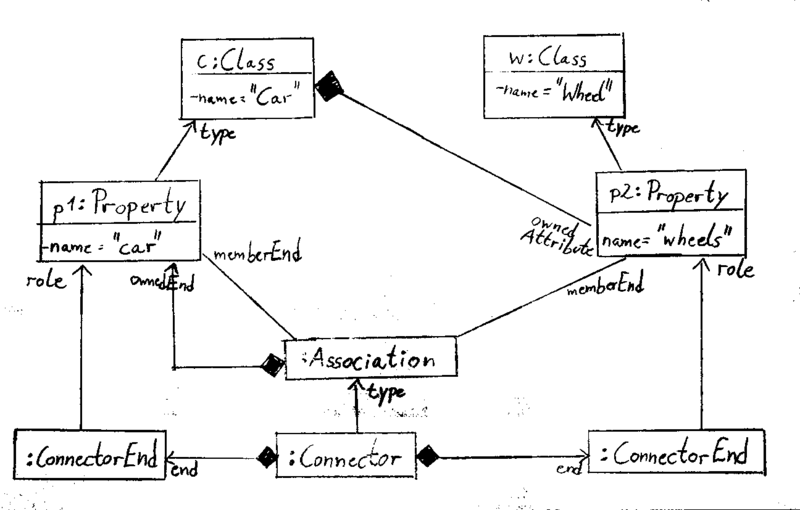 This states that the instances in the Composite Structure diagram are represented by ConnectableElements (which are abstract and subclassed by Property). Looking at a composite structure diagram, one may mistake those Properties as Objects, but they are not. „A property specifying an instance that is not owned by the instance of the containing classifier is shown by graphical nesting of a box with a dashed outline. 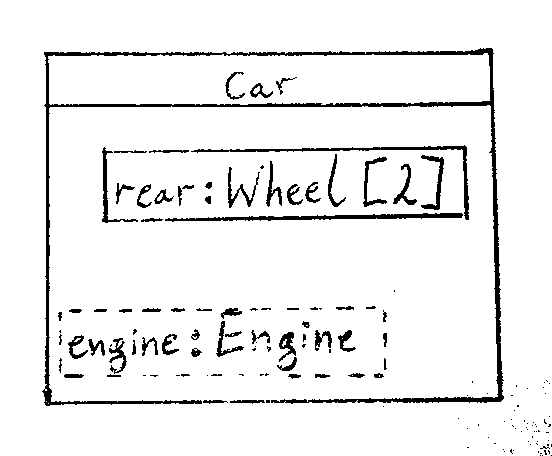 The contained box symbol [of a part (represented by a solid box)] has only a name compartment, which contains a string according to the syntax defined in the notation sub clause of ‚Property'“. This indicates that the whole diagram is based on the viewpoint of the containing [structured] classifier. 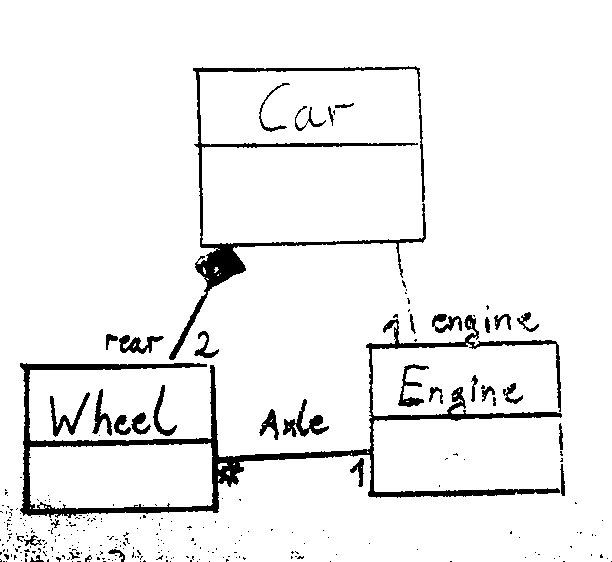 The following two images show the class diagram and the composite structure diagram from the viewpoint of the class „car“. „A property symbol may be shown containing just a single name (without the colon) in its name string. This implies the definition of an anonymously named class nested within the namespace of the containing class“. Dieser Beitrag wurde unter Metamodelle, modellierung, OCUP, omg, uml abgelegt am 19. Februar 2014 von modellierung.net.